We reached out to mayors and city managers across the U.S. to see how they fared in 2018 and asked them to peek into their crystal balls to see what challenges they expect to tackle in 2019 as well as projects that are on the horizon for their cities. The cities range in population from over 6,500 residents to 195,000 residents as of the 2010 census, and while they vary widely in population and geography, there were many shared similarities. Frank DiGiovanni became city manager in 1995 but worked for the city’s parks department for 13 years before being elected assistant city manager and then city manager. 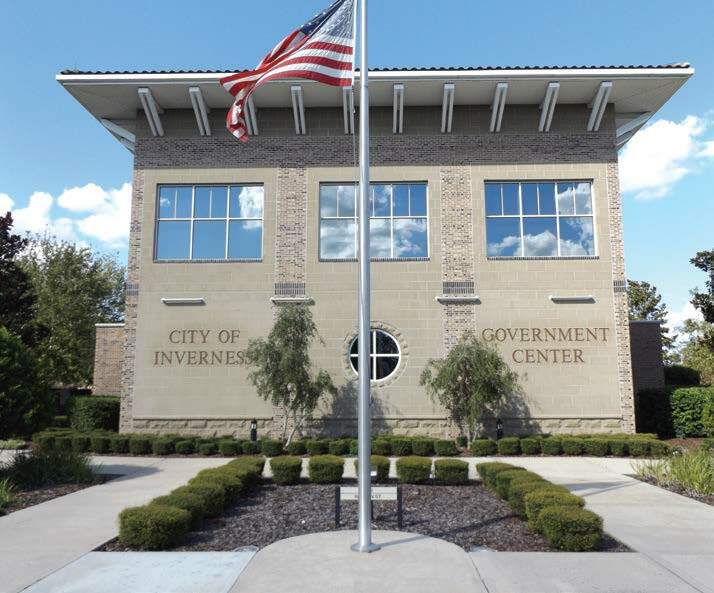 Inverness is in the central part of the state and is the county seat of Citrus County. Its population in 2016 was 7,347. Challenges for the city have been the continuation of reinventing and reinvesting itself in addition to building upon the foundation to make Inverness a destination location to bring in more revenue for local mom-and-pop businesses. “The challenge for us has been finding resources to make the projects work and we’ve worked really hard to do that,” he said. He accomplished that by reducing the payroll over the years, cutting back on middle management. Whittling down the employees from 100 when he took office to about 40. City officials looked at technology to help cut those positions, entered into public-private partnerships and outsourced maintenance contracts at the cemetery, for example. “We cut where we can and where it wouldn’t be noticeable to residents and moved those savings into investing in projects,” he said. A challenge that he sees continuing into 2019 is the “constant erosion of property taxes,” which means local government has to find ways to institute fees to keep vital services going. 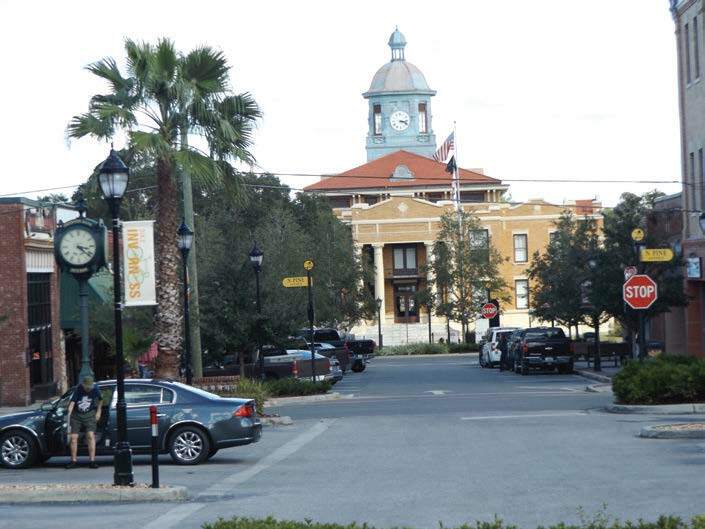 DiGiovanni said property taxes are low in Florida and Inverness was rated by a retirement publication as a top 10 affordable place for retirees. With the expansion of The Villages, a nearby retirement community, DiGiovanni hopes Inverness will be able to attract those residents with its entertainment options. Small Town Done Right is a capital investment project that kicked off Nov. 1 and will continue into 2019. “It’s a very ambitious construction project to draw in tourism and new money to the community,” he said. The Depot District is being transformed with major improvements to Liberty Park and Wallace Brooks Park on Lake Henderson. These parks will be closed for 11 months as they are rebuilt. They’re situated along the Withlacoochee State Trail, which already draws 40,000 visitors annually. The project will bring increased parking, restrooms, terracing, stages, playground equipment, boat docks, an iconic water tower and an open-air pavilion market. In Nappanee collaboration between multiple agencies has brought several projects to successful fruition. The city, located approximately 30 miles from South Bend in northern Indiana, is currently working on a project called Wa-Nee Vision 2020. 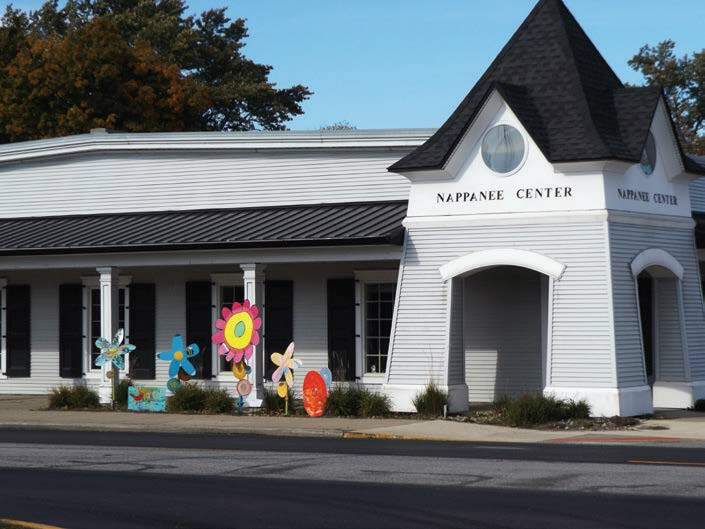 This project has brought together the city, the Wa-Nee (Wakarusa-Nappanee) School System, the Boys and Girls Club and local nonprofit Family Christian Development Center in a collaborative effort to complete projects for each organization. The project includes a new well and transmission lines, road improvements and enhancements to the new soccer complex for the city. 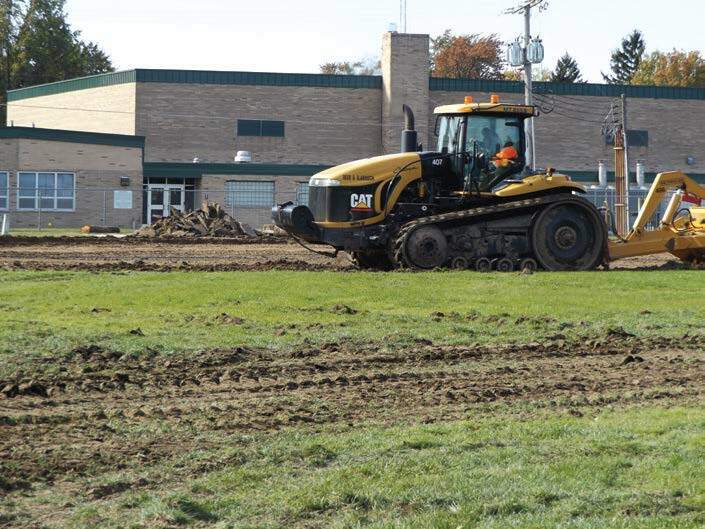 The school system will have expanded soccer fields and facilities for the high school’s soccer team, which previously played on an elementary school field. That field is now the site of a new Boys and Girls Club, and once that is built, Family Christian Development Center will move into the Boys and Girls Club facilities, currently located in the old Central School building, which was the city’s first multi-agency project. Jenkins said this collaboration is not only happening in Nappanee, but also in Elkhart County and neighboring St. Joseph County. “We can get a lot more accomplished working together than individually,” Jenkins pointed out. The funding for Wa-Nee Vision 2020 came from a variety of sources, including matching grants and tax increment financing funds. The new well project and soccer complex is currently under construction and ground was broken for the Boys and Girls Club weeks ago. Jenkins said, including a new breakfast restaurant, a French pastry cake shop, the expansion and renovation of the coffee shop and the beginning of construction of a sushi restaurant and brewery. A local recreational vehicle manufacturer just expanded its service facilities while a cabinet and furniture manufacturer opened an event center. The city is also wrapping up a multi-million dollar, federally mandated combined sewer overflow project, which installed new separate lines for stormwater and a new treatment facility. Workforce shortage has been a challenge for the city. “Not having enough labor force — which is a good problem to have, but at the same time it affects infrastructure, housing and quality of labor,” he said. The city has provided resources on its website and has taken a proactive stance by ensuring access to mental health services for employees. Looking ahead to 2019, the challenges Jenkins expects is continued planning for the future with the knowledge that there is a limited capacity of industrial land while encouraging developers to build the type of housing that fit Nappanee’s needs. Next year is an election year for city officials and planned improvements on gateways into the city are expected. He explained the “this-is-how-we’ve-always-done-it” mindset is fine when sales tax is in the double digits, but when that flattens, it exposes weakness. 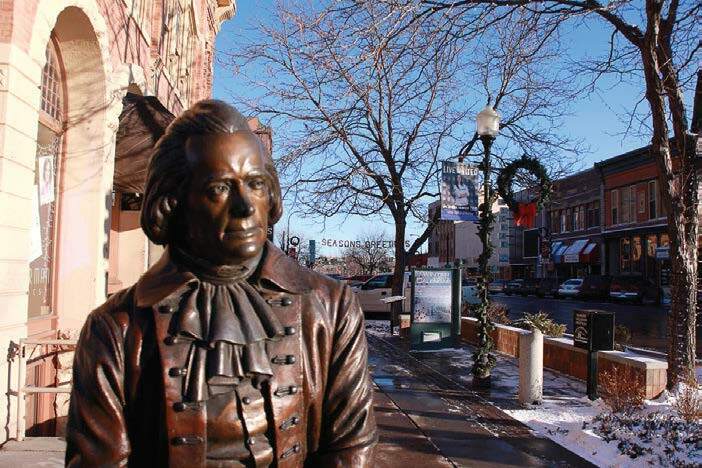 Despite those challenges, things are happening in Rapid City. “This year we received the public support of the voters to build a new multipurpose arena,” he said. He explained when the city set out to build the complex, a half cent sales tax was established specifically earmarked to build it. Twenty years later, when the bond was paid off, the mayor at that time did away with it, but another predecessor brought it back. As for projects, a new economic development plan is in the works. “When I became mayor, there were multiple economic development organizations all saying the same things: I was going to lots of meeting and there was no action,” he said. He’s whittled them down to one organization. 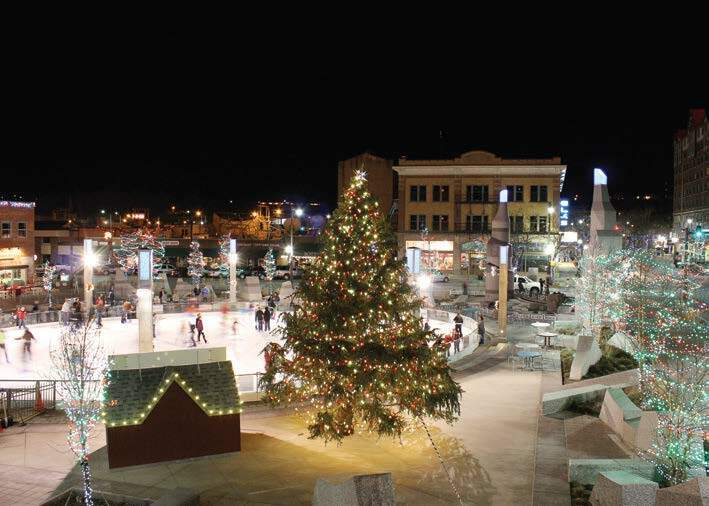 Elevate Rapid City is a joint venture of Rapid City Chamber of Commerce, Ellsworth Development Authority, Rapid City Economic Development Partnership and the Economic Development Foundation. It raised double the amount anticipated in the first year. The five-year, $4.25 million project will focus on innovation and entrepreneurship; retaining and expanding the mission for Ellsworth Air Force Base; and workforce development. It will improve the workforce skills of the current and emerging workforce and focus on talent attraction and retention, plus new business investment. Allender said he pledged $2 million toward this project and to help create some incentives. “It’s hard to get a company in here when the reality is we can’t produce the 100 workers needed, but I guess that’s a better problem to have than 10 percent unemployment,” Allender said. The city is also working on a project called One Heart Campus — transitional housing with about 90 efficiency apartments and services for addiction, mental health and the development of job skills, etc. Allender said like most cities, Rapid City has a homeless problem, many of whom are Native American. It’s a $16 million project that needs about $5 million more to complete. Development of the President Plaza, what Allender called “a comedic historic goof,” is finally being developed. Over 10 years ago the city partnered with a private developer to build a mixed-use building next to a city-owned lot. “It fizzled out — after only 10 years,” he said facetiously, “due to tremendous micromanagement by city government.” Several site visits have been made and requests for quotations are being sent for development of the downtown apartment, retail space, condos and parking. He said $3.5 billion in economic development is going on in the city with 4,000 new units on the waterfront along the Hudson River. “Yonkers has been rediscovered. Our property values are booming and developers are knocking doors down to come here — we’re really happy about that,” Spano said. Yonkers has a population of 195,000 and is the first city north of the New York City boroughs in Westchester County. Spano reported a 41 percent reduction in crime since he took office seven years ago. That shortage in education funding is one challenge he mentioned along with very expensive contracts and rising health costs that are outpacing the growth of economic development. Spano took office in 2012 with an unemployment rate of 9 percent. It’s currently at 5.2 percent and has been as low as 4.7 percent. “My fear is if the economy takes a dip, it’s going to hurt us,” he said. A property tax cap initiated in 2011 has put the city at 94 percent of the taxing authority. “Our school district is growing because people are moving in, which is good, but we’re 5,000 seats over capacity and we need to build three new schools at an approximate cost of $500 million,” he said. Spano said if he raised property tax by 1 percent, it would equal $3.3 million, and with the tax cap, he can only raise $6.6 million. Health costs have risen to $1.4 million, and the city has not added any fire or police personnel. Help may be on the horizon as the state has stepped in to help other cities and Spano believes Yonkers is next. The state is also allowing a restructuring board — an independent group — to come in to help city officials look at how they can share services, be smart about how they use funds and at the same time show the state capital the good things they’re doing. Spano said the city has started running “GENY — Generation Yonkers” ads focused on millennials to encourage them to work, live and play in Yonkers, and they’re moving into those waterfront high rises along with empty nest baby boomers. The city will also soon announce the sale of “Chicken Island,” a half-billion dollar development adjacent to the waterfront. 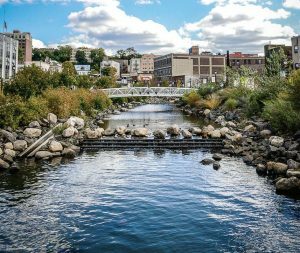 The property is actually a small island in the midst of downtown Yonkers that’s been undeveloped for over 40 years. The mayor said he’s excited about this development because it shows that the economic development is moving inland as well. “Overall, we are doing very well, but we’re not out of the woods yet,” Spano said. All the mayors we spoke to feel positive about their city’s economic progress and growth this year but are cautious. Most have also encouraged or focused on entertainment or quality of life development to bring additional revenue to their cities. The outlook for 2019 is enthusiastically optimistic — albeit cautious.